Zionsville Flower Company - Quality Farm Fresh Flowers That Last ! 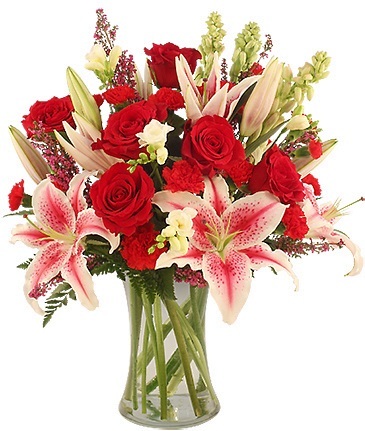 We are the only Local Zionsville, Indiana florist with a wide, diverse variety of Farm Fresh Flowers, Plants and Sympathy Tribute gift ideas to suit any style or budget. We hope you enjoy your online shopping experience with secure 24-hour ordering right at your fingertips. If you prefer, call us to place orders direct at 317-873-2926. If you're not 100% sure - Order a Designers Choice or Custom Arrangement - simply tell us a color palet, style and or flower type and let our designers do the rest with the freshest flowers we have in stock. Custom Designers Choice is always the best way to go - and we will email you a photo when your gift is completed! Quality Flowers are the staple of the Zionsville Flower Company. Our flowers arrive direct from farms around the globe & in season, from across town, giving us the freshest product available in the market. As with all things, a quality product requires quality care. Our Assoicates are all trained on proper flower care, handeling and storage in addition, the Zionsville Flower Company is one of the few Professional Florists in the state of Indiana with a Reverse Osmosis water filtration system and percision Floral Food Mixing unit. This level of premium care ensures our flowers are healthy, vibrant and long lasting! We offer daily deliver to Residences, Schools, Hospitals, Churches, Funeral Homes and Businesses in Zionsville, Whitestown, Lebanon, Carmel, Brownsburg, Fishers & Indianapolis. Special Delivery Areas available for an additional fee. Special Event Delivery to most Central Indiana Locations. You can always count on our professional staff to help you with ordering flowers for the funeral of a friend or loved one. We will design and deliver a funeral arrangement that beautifully conveys your expression of sympathy and serves as a lovely memorial to the deceased. Our Custom Tribute floral designs are each designed with your loved one in mind and we strive to add personalized touches to each and every design. The Zionsville Flower Company is ready to help you plan and design your dream wedding florals. Remember - What are the things in virtually every photo?? Dress & Flowers - Dont settle for cookie cutter weding design - Make a Statement with our flowers! No Matter your budget or style you still deserve the Quality Zionsville Flower Company offers for your special day! We will schedule a consultation apoitment with you. During this meeting we will requiew our Wedding or Event Floral Guides and determine how we can best work with you to create a once in a lifetime day, no matter the occasion. Choose from our Green Plants, Blooming Plants, Dish Gardens, Baby Gifts, Zionsville's Own Ganache Chocolates(available as add on to flowers only), Custom Order Permanent Botanical Arrangements, Wreaths, Swags & Plush Stuffed Animals and Bouquets of Balloons. Don't forget we also offer Fruit Baskets, Gourmet Baskets and custom Gift Baskets for a great gift idea anytime of year! Thank you for visiting our website with flowers delivered fresh from your local ZIONSVILLE, IN flower shop, Zionsville Flower Company.